Every business collects and maintains sensitive information. For most business owners it is obvious that it should be properly stored, however it’s just as important that owners take the proactive step of using a document shredding program as well. When no attention is paid to the destruction of documents, employees will take the easiest path and just drop them in the trash can. For those owners, there are some serious consequences for their inattention. Here are ten reasons every business should have a document shredding program. Every employee file holds very private information. The obvious ones are names, addresses and social security numbers. There is also a treasure trove of data that can be used to commit identity theft like bank account numbers, health insurance information, and emergency contacts. The health insurance forms also provide information your employees wouldn’t like to share with the world. To stem the tide of identity theft, federal and state governments have enacted laws that require shredding. The most far-reaching is the Fair and Accurate Credit Transaction Act of 2004 (FACTA). It mandates shredding and imposes stiff fines on companies that do not. The easiest way to prove legal compliance is with a “certificate of destruction” that a shredding service provides. 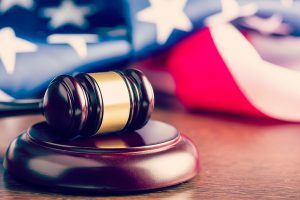 The Industrial Espionage Act of 1996 only allows companies to seek damages from spying when trade secrets were treated with care. If the information is allowed to be thrown in the trash, it is no longer covered by the law. If you have trade secrets, then you better be shredding. This has two meanings for your business. 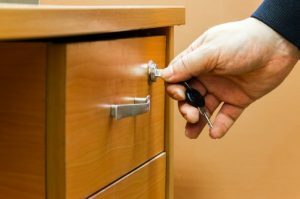 If you let customer lists be thrown out, then they are no longer a trade secret and can be freely taken when employees leave. You also don’t want to explain to your best customers how you failed to protect their information and allowed them to become the victims of identity theft. As employees leave, you don’t want them to legally take your customer lists to your competition. You will want the legal protection under the Espionage Act. You also need to be aware that if you shred in-house you are at risk that they will fail to perform the work properly. Or even worse, intentionally not shred and save documents to extort you or discredit the business. Many people think that once the trash is taken out it is dumped in the ground never to be seen again. However, trash is considered public domain by the Supreme Court (California V Greenwood). 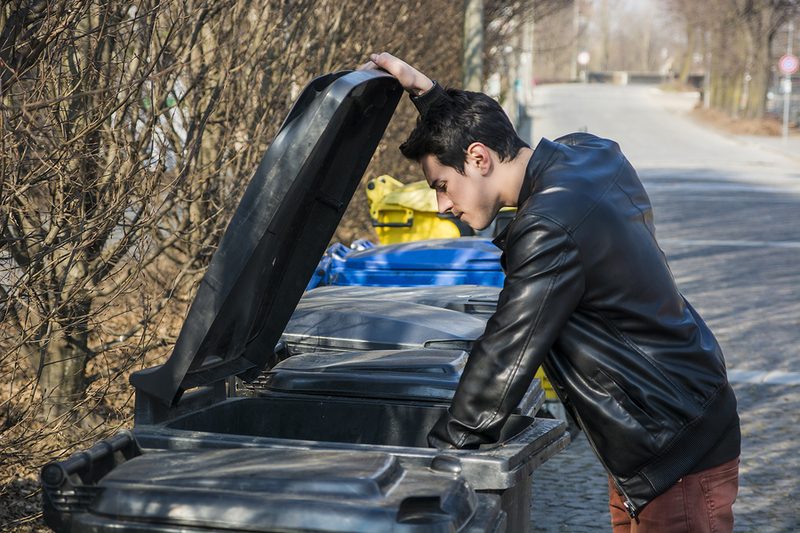 There are many people who routinely go through your dumpster who could be a part of identity theft rings. When sensitive information is found, the first people that get called is the local news. It is an easy story to show up with cameras and start asking you embarrassing questions. They also like to interview your customers and ask them if they knew you didn’t protect their information. After the news is called the police are the next on the list. Some Attorney Generals have found that this is an easy source of revenue for their department. In Texas, million dollar fines are not uncommon. As the settlements grow, more states are sure to follow suit. 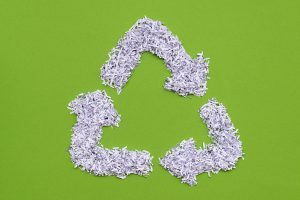 If you have a document shredding service, they will not only shred all your information but they will also recycle it. You can tout your reduced environmental impact to your customers. Some companies can even reduce trash hauling costs. The biggest savings of a document destruction program is not needing to pay for upkeep in addition to other shredding services that can also save your business money. For example you don’t have the capital costs of a shredder and its yearly maintenance. A service also has industrial shredders that can shred everything you generate in minutes instead of the hours or days you would need to pay your employees for the job. At Shred Nations, we are dedicated to matching businesses with a shredding service provider who can meet your project and budget needs. Affordable shredding options are an excellent way to prevent data breaches and keep your organization safe. Let us help you find a solution to your document destruction needs. Call us at (800) 747-3365 or fill out the form on the right and we will get you quotes from local service providers for free.